What does Tedstrom Wealth Advisors, Inc. do with your personal information? Investment experience and risk tolerance. All financial companies need to share clients’ personal information to run their everyday business. In the section below, we list the reasons financial companies can share their clients’ personal information; the reasons Tedstrom Wealth Advisors, Inc. chooses to share and whether you can limit this sharing. Tedstrom Wealth Advisors, Inc. does share your information for our everyday business purposes – such as to process your transactions, maintain your account(s), respond to court orders and legal investigations, or report to credit bureaus. You can't limit this sharing. Tedstrom Wealth Advisors, Inc. DOES NOT share your information for our marketing purposes – to offer our products and services to you. Tedstrom Wealth Advisors, Inc. DOES NOT share your information for joint marketing with other financial companies. Tedstrom Wealth Advisors, Inc. DOES NOT share your information for our affiliates’ everyday business purposes – information about your transactions and experiences. Tedstrom Wealth Advisors, Inc. DOES NOT share your information for our affiliates’ everyday business purposes – information about your creditworthiness. 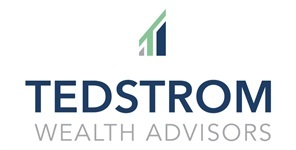 Tedstrom Wealth Advisors, Inc. DOES NOT share your information for our affiliates to market to you. Tedstrom Wealth Advisors, Inc. DOES NOT share your information for non-affiliates to market to you. How does Tedstrom Wealth Advisors, Inc. protect my personal information? To protect your personal information from unauthorized access and use, we restrict access to your nonpublic personal information to those employees who need to know that information to service your account. We also maintain physical, electronic and procedural safeguards that comply with applicable federal or state standards to protect your nonpublic personal information. How does Tedstrom Wealth Advisors, Inc. collect my personal information?